Spensha Baker isn't your typical teen singer. 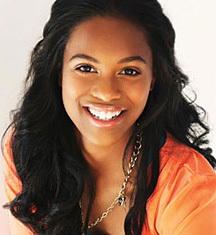 Wise and mature beyond her years, her powerful voice has drawn comparisons to Whitney Houston and Aretha Franklin. She enjoys sharing her gift of singing with her peers, the sick, the hurting and Christians alike. She was featured on the Inspirational Network World Wide Web as a contestant of “Christian Artist Talent Search” for a year. Baker was featured on the CBS show Star Search which was viewed by 9 million viewers every Saturday for 9 weeks. Spensha’s ministered in local churches, special events, conferences and charity events across the country. Spensha even made an appearance in front of United States President George Bush in 2008, who gave this young prodigy the "thumbs up" seal of approval when she performed at an event honoring him as well as 25,000 military personnel at Fort Hood , Texas. 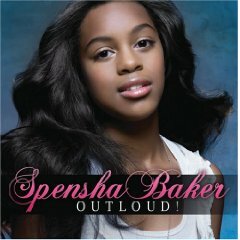 Her debut CD, "Outloud!" is a young woman's personal testimony and serves as inspiration to listeners who are seeking relief from some of the harsh stories too often told in music today. "I named my album Outloud!, because that is the way I live my life: Openly. I want to succeed and fail out loud. I want to laugh out loud, breathe out loud, love out loud, and live out loud. Not only is this my personal anthem, but I'm positive it can be an anthem for everyone. It's also the title track on my album." Among the standout cuts on "Outloud!" 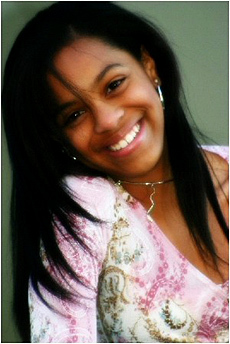 is "Teach Me," an R&B/popish song where she admits, "I'm young and it's important for me to learn from the Lord. The debut single, "Hallelujah," is a Clark Sisters remake that challenged even Spensha's powerful vocals. "It was very exciting to do this remake. It's one of those handclapping/foot stomping kind of songs," says Spensha. "I want to be a role model; someone people aspire to be like. That's why the album is called Outloud!, I'm not afraid to show the world who I really am." Spensha continues, "One thing about me is that I am a regular girl. I struggle with certain subjects just like everyone else; I don't try to hide it, it's out there. I believe I'm here to encourage young people and I don't mind doing it."